Kenya has its own inspirational women including judges, politicians, scientists and many entrepreneurs and it’s great to see that some women are successfully challenging the glass ceiling. Women are being educated to the highest levels however there isn’t a level playing field. In the rural areas it is a very different story as girls often struggle to complete primary school. There are many obstacles in their path including a lack of sanitary protection, lack of money to pay for books and uniforms and the need to stay at home to help care for siblings, grow food and collect wood to burn for cooking. These are just some of the barriers that girls face in poor and rural communities. Girls are aware that education is most probably their only way out of poverty and they truly want to stay on at school and complete their secondary education. They have big dreams and Friends of Buburi do what we can to help them realise their aspirations. By providing subsidised healthcare we aim to keep the young healthy from birth onwards, through immunisation, health education and eventually with family planning we are helping young women to be in control of their lives and their fertility. We are also running a project to supply re-usable sanitary protection to local schoolgirls so that they don’t miss a week each month from school because they have their period. The community health workers attached to the clinic are hoping to eventually take over the project and in the meantime they will be distributing the pads. Although it is easy to think that International Women’s Day is all about highflyers, there are many women who remain at home caring for their families and their jobs are equally important as they are responsible for nurturing future generations of young women. 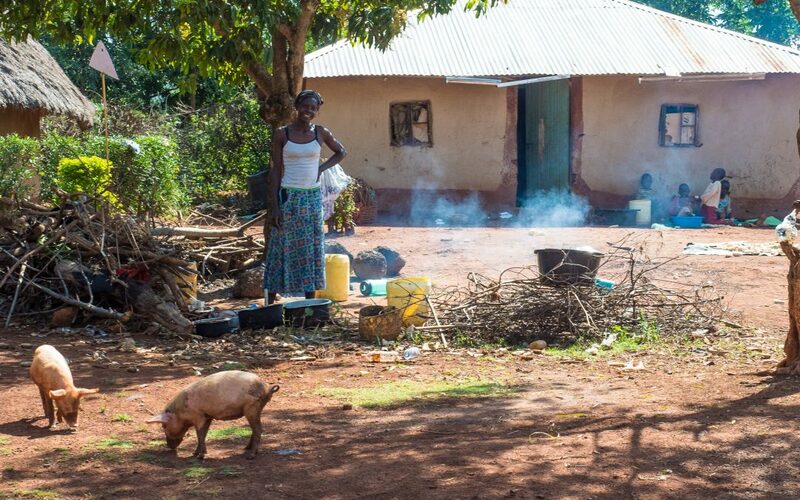 In Kenyan rural communities there is most often a gender bias where cooking, cleaning, growing food and childcare is most definitely the sole remit of women. But there are many women’s groups where women can come together and offer assistance to each other, sometimes with agricultural projects, micro financing or emotional support. They have ‘merry go rounds’, these are where each woman puts in a small amount of money at each meeting and if one of them gets into financial difficulties, then the ‘merry go round’ loans that woman some money. Women are great at spotting opportunities to support each other but doing so in poverty is extremely hard. That’s why on International Women’s Day it’s good to be celebrating and supporting all women especially those who are the most vulnerable or live in hardship.